In the US, stock count is also referred to as taking physical inventory. It’s important to understand the basics around the stock count process before attempting to enter a stock count into vintrace. When a grocery store does a stock count they lock the doors to ensure no customers come in the front door and no suppliers come in the back door while the count is being done. Obviously this is to ensure your count is true and accurate. Of course a winery may never close, particularly over harvest, which makes taking a stock count more difficult, but not impossible. Essentially any outstanding work order that impacts inventory will need to be completed in the cellar but not necessarily entered into vintrace before the stock count is physically taken. Work orders that have been written but not physically completed in the cellar should be put to one side until after the above process is completed. This is done via the Inventory menu and then Search. 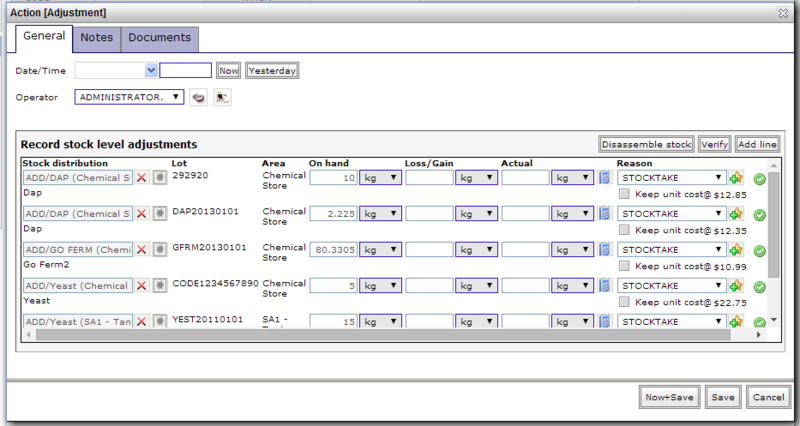 Locate the inventory stock you wish to count by entering the search criteria and clicking Search. 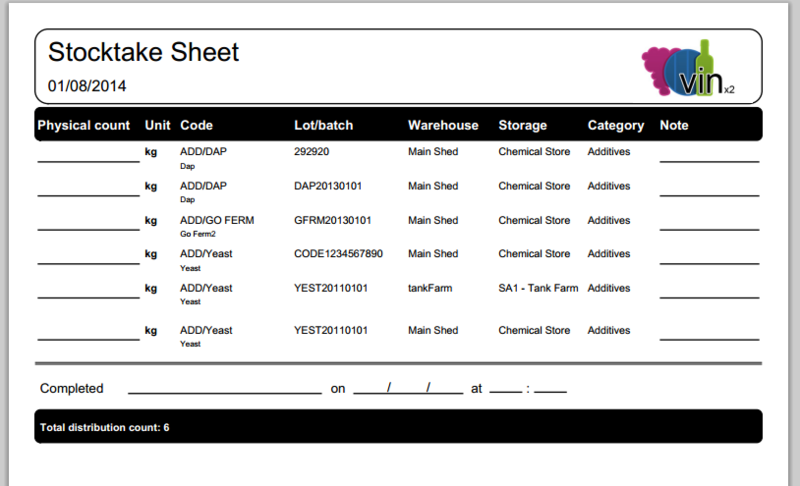 Once you have that stock in view select Reports and then Stocktake (Enhanced). You can print this as a stock count work order for your staff to complete. To enter your adjustments follow the same steps as above to get back to Inventory – Search. 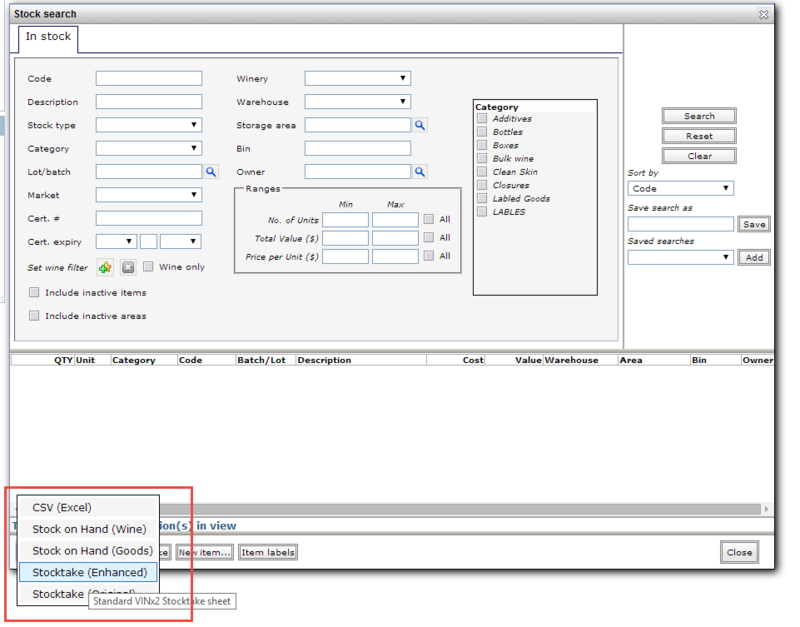 Run the same search criteria to again list the stock. This time you’ll need to click on the Enter stocktake button. Tip: you can use the Save search as option to remember searches in between creating your stock count sheet and then having to re-enter it. This way you don’t have to remember the exact criteria before and after printing the sheet. 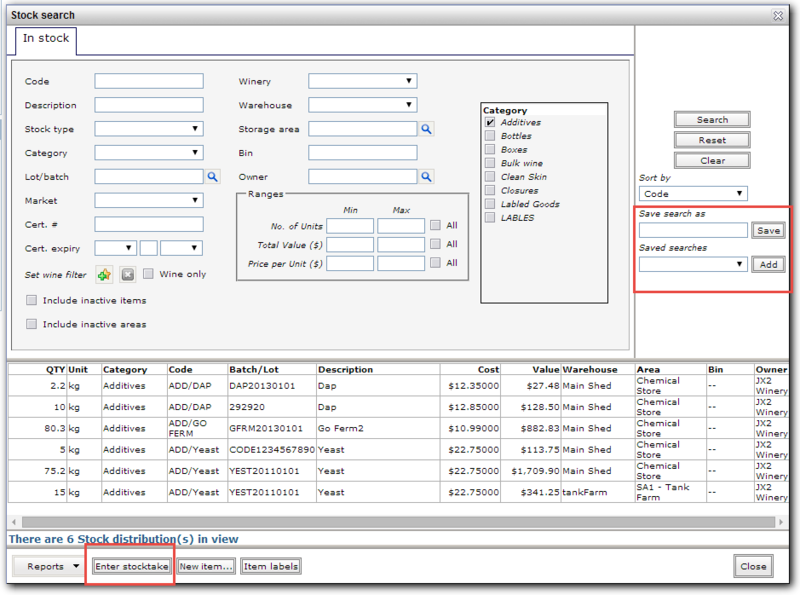 The adjustment window gives you the ability to enter the physical count amounts into the Actual field. Just tab through these entering each one or use the Red cross on the right to remove a line you do not want to adjust. The default adjustment reason will be set to STOCKTAKE but you can override this if you wish; US clients may want to add “Inventory Adjustment” as a reason. Saving this screen will update the stock levels as of the date selected at the top.